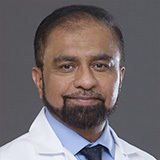 Dr. Hamdan completed his MBChB in General Surgery and Medicine from the college of Medicine at the University of Baghdad, Iraq (1974), his postgraduate course in Clinical Neurology at the Institute of Neurology in London, UK (1979), and his Diploma in Clinical Neurology in the National Hospital for Neurology and Neurosurgery at the University of London, UK (1985). 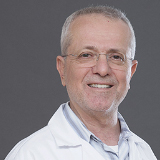 Dr. Hamdan is a member of the Emirates Medical Association and the Emirates Neurology Society. 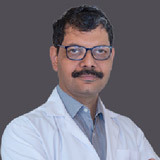 Dr. Hamdan worked as a Specialist Senior Registrar Neurologist at Rashid Hospital in Dubai since 2001 before going to Al Zahra Hospital Sharjah as a Specialist Neurologist. He has a total of 35 years. Dr. Hamdan speaks Arabic and English.